I've been a Titanic buff since I was in grade one: I remember the moment I first became aware of the Titanic, working my way through a sticker book of ships. It was back when you still had to lick the stickers, which had a mildly pleasant taste to them. The trick was always to match the sticker to the outline it needed to occupy in the book, and the outline of the Titanic stumped me. Initially, I couldn't make sense of the odd outline in the book. Then, when I matched the sticker, I was stumped as to why so much of the ship was missing. I hadn't fully mastered reading, and had to ask my dad to clarify some of the terms. He explained the disaster to me, and it haunted me for days. I took to drawing the stern section angled up out of the water. In grade two, I bought a special illustrated edition of Walter Lord's A Night To Remember, and, having largely mastered reading (I would read 20,000 Leagues Under the Sea for the first time this year), I set about the equally titanic task of getting through the book. That winter, my dad helped me build a model of the ship. When Titanic movies came on television, I was given permission to stay up late to watch them. In grade four, I read Clive Cussler's Raise the Titanic! 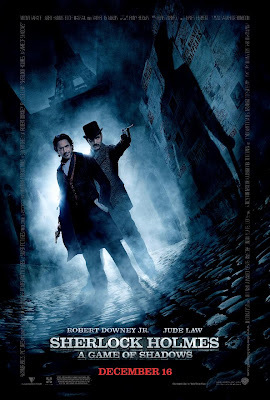 and saw the dreadfully boring film version. The discovery of the wreck was a revelation to me, but I was too busy navigating adolescence to pick up any of the issues of National Geographic that covered the expedition, an oversight I've regretted many times. I dogeared the school library copies though, and was amazed by Ken Marschall's renderings. My interest in Titanic waned in my late teen years and by the time rumours surfaced about James Cameron's film version, it was but a fond childhood memory. Nevertheless, my copy of A Night to Remember and The Greatest Disasters of the 20th Century had followed me everywhere I moved, and the night after I saw an early screening of Cameron's blockbuster, I was back reading Walter Lord. The next year, my band released its final CD, the last half of which was a concept piece on grief using Titanic as the primary metaphor. I wrote and directed a play based on the events in Lifeboat No. 6. Hell, I even own a model of the Titanic that will sink if you flip a counter-weight, breaking in half after the bow dips beneath the water. I saw the movie numerous times, and yes, I am a fan. Haters, go somewhere else to leave your comments. So, needless to say, when Titan books sent me David Kowalski's The Company of the Dead, I was very excited. The cover is brilliant. The mirror image of the Titanic at sea, features the story we are perhaps over-familiar with as a mere reflection in the water, indicating it is not the primary reality. The primary reality, the one casting the reflection, shows Titanic coming into dock in New York city as it passes the Statue of Liberty. It's brilliant, because it's both true and false, and is accordingly, an excellent cover for Kowalski's book, which has its own labyrinthine maze of true and false starts. I'll say more about this later, because I want to intrigue readers who aren't interested in spoilers. 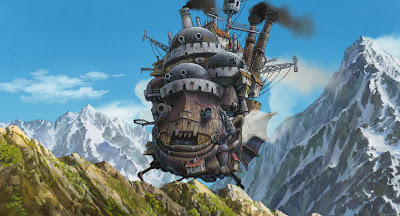 The Company of the Dead is not steampunk, though it has its share of great airship moments. So why am I reviewing it? Because it's alternate history, a genre steampunk is often mistaken for. Granted, there are steampunk works that are alternate histories, but it is not an essential feature of the steampunk aesthetic. As I've said before, there are as many, if not more, alternate worlds as there are alternate histories in steampunk (the difference concerns adherence to physical sciences. For example, Cherie Priest's Clockwork Century is more alternate history than Jay Lake's Mainspring, which takes place in an alternate world). Plus, it was a great post to have on the weekend of the centennial of the sinking. The next chapter reveals that New York City occupies Japan's Eastern Shogunate, and that the Japanese-Russian peace talks had just been held on board Titanic. Lightholler receives a visit from Joseph Kennedy, "an agent of the Confederate Bureau of Intelligence" who, as the novel goes on, reveals he knows history has somehow gone "wrong" and needs to be put "right." What ensues is a sprawling tale of espionage, adventure, alternate histories (yes, I said histories), and time travel. None of those things are spoilers - teasers, maybe, but not spoilers. Fans of alternate history, the ones who want to see some serious rigour applied to the counterfactual ramifications of John Jacob Astor surviving to have influence in American politics in the twentieth century need to check this book out. As a kid, I fantasized about traveling back in time to avert the disaster: Kowalski reminds us all that while Titanic's sinking was a tragedy, it was a tragedy that changed the fate of the century. After all, unlike other notable disasters of the past one hundred years, this one involved an disproportionately large number of major movers and shakers. The men who stalwartly remained behind while their wives and children boarded life boats were history makers. Kowalski knows this, and explores it in a way that takes an oft-told tale and renders it fresh. The history of the Titanic is here, but not in a manner that rehashes what we already know. It looks at it in the lovely "what if?" sense of alternate history. Kowalski does something very clever here in his opening chapters: he makes several statements like his note on the closed-circuit screens on board the 2012 Titanic as "the only anachronism permitted aboard his floating memorial" (13). It's clever because the reader assumes this is the same Titanic that averted an ice berg in the previous chapter. But it's not. We won't discover this for several chapters, until Kowalski returns us to April 15, 1912, and the ship strikes a different iceberg. The ship still sinks, despite Wells' intervention, but John Jacob Astor survives. The future changes. America does not enter World War II. And a century later, Germany and Japan are world powers racing to develop a nuclear bomb. "It's not carved in stone," Wells was staring at the embers. "It's writ on water. There are a few lifeboats left. We can leave anytime we like." "I'm usually dead by now. Gershon usually kills me in this timeline." "He shoots you in your cabin," Kennedy replied. "We're never here, talking like this." (829). Later, another character will engage in musings akin to Leibniz's, reflecting that "this world was no paradise. It was not, by any stretch of the imagination, the best of all possible worlds. It was the only possible world, and it had been given a reprieve" (855). I quote these sections, not as spoilers, but rather to demonstrate that Kowalski is a student of history who has wrapped that rigour in a cloak of page-turning adventure. It's precisely the sort of book people who appreciate a well-thought-out counterfactual will enjoy. The characters are engaging, and Kowalski isn't afraid to kill some along the way. The historical stakes are very high here, and The Company of the Dead gives them their due. 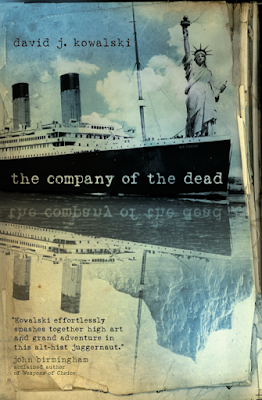 So whether you're a Titanic buff, spy-thriller aficionado, or an alternate history fan, The Company of the Dead has something for you. At just over 870 pages, my spoilers are but the iceberg above the surface. There are many more surprises waiting beneath the water line. Have you seen Titanic in 3D? I haven't - have you? We've been staging our own memorial week of viewing - we watched "Ghosts of the Abyss" earlier this week, and will watch another documentary over the weekend. We'll likely watch Cameron's version next week, either in theater in 3D, or just on DVD at home. Actually (don't scream) I have never even seen the movie. I have, however, watched documentaries on the Titanic - more so the finding of and recovering stuff from. I love documentaries like that. As a person who is emotionally tied to what I see: just the preview for the 3D Titanic when I went and saw The Lorax had me in tears. It looks very powerful (visually and emotionally). Since you are a big fan I figured you might rather enjoy seeing it in 3D. MAJOR SPOILER RESPONSE to Michael Nernst: Just that Kowalski's a master of narrative sleight of hand in the first chapters - we think the Titanic doesn't sink, then assume it's coming into port in New York in 1912 only to discover it is 2012. Then, we find ourselves back on the Titanic, which hits another berg (it was in a field of ice, after all) and eventually sinks. He does this sort of thing throughout the book, to keep the reader off their guard. Even in the climactic scenes when the heroes are on board Titanic to stop Wells from changing history, we discover they've been here before, which means there is no guarantee they will succeed. It's just an admirable quality in a book of this length. Sustaining that sort of slow reveal isn't an easy thing.